Designed by designer Ilan Pivko, the suite includes panoramic views of the Mediterranean Sea. 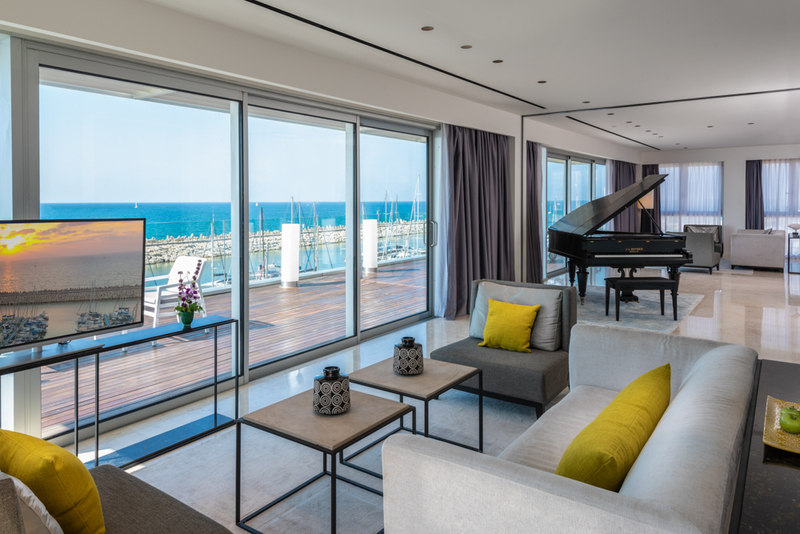 The Herods Hotel Herzliya, from the Fattal chain, has launched a new 200m² luxury presidential suite, along with a 120 m² terrace. The suite, designed by designer Ilan Pivko, includes panoramic views of the Mediterranean Sea facing the sunset in the marina, a luxurious kitchen, a master bedroom with glass partitions and sea views, a panoramic sea-view shower, a dining area with 12 seats, a grand piano, sleeping room + bathroom and balcony, guest services and more.